Three years after the events of the original film, the authorities are attempting to return law and order to ravaged District 13. However the death of gang overlord Taha Bemamud at the end of the previous film has left a power vacuum, and total control of the area is now being fought over by five rival territorial gang lords who want to step into Taha's position of overlord over District 13. 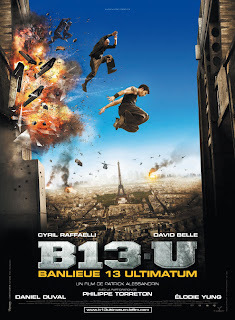 Damien and Leito return to District 13 on a mission to bring peace to the troubled sector before the secret services of Paris take drastic measures to solve the problem.